The formula is simple. Main protagonist has or obtains superhuman powers. Superhuman protagonist stands for justice and fights for good. Antagonist also has superhuman powers, or incredible intellect to be able to pose a formidable threat to our beloved protagonist. Antagonist comes up with some sort of plan to become famous/rich/enact revenge and the protagonist has to stop this plan from coming to fruition. Despite the challenge and facing what could be a near-death experience, our heroic protagonist wins and the antagonist is killed/captured/cast away. This is the plot for many superhero movies. It’s been done countless times before and will continue to be used for the foreseeable future. It is a classic plot structure, the modern, streamlined version of the monomyth. It is ceaselessly entertaining, even if you’ve already experienced something similar. The empowerment associated with believing in a protagonist with superhuman powers can be intoxicating, especially when they finally achieve that difficult victory. It is a concept so ingrained in our pop culture, we can’t escape it even if we wanted to. But look closer at some of our favorite superhero films, and the truth is that they don’t always follow the formula. If you look closely, you’ll see plenty of examples of heroes which, when you think about it, didn’t actually save the day. They tried, but ultimately failed to prevent turmoil and pain of the innocent. Below are some prominent examples I was able to come up with. What other films have superheroes which technically fail to live up to our (lofty) expectations? Warning! This Article Contains Spoilers – Proceed At Your Own Risk! I’ll start with the most obvious example. This one was my inspiration for writing this article in the first place. Thanos is the big villain in the Marvel Cinematic Universe so far, and his plight to wipe out half of all living things is what causes our heroes to have to band together to stop him. Ultimately, they fail and half of the team gets snapped into dust. There is lots of blame to go around, but the easiest scapegoat is Peter Quill AKA Star-Lord. As Doctor Strange comes up with a plan to subdue Thanos and remove his Infinity Gauntlet. However, Star-Lord takes issue with Thanos’ decision to sacrifice his adopted daughter/Quill’s love interest Gamora, and becomes distracted at a critical moment. Of course, there’s a sequel coming out very soon which has a very high likelihood of reversing Thanos’ destruction and undoing Star-Lord’s costly mistake. 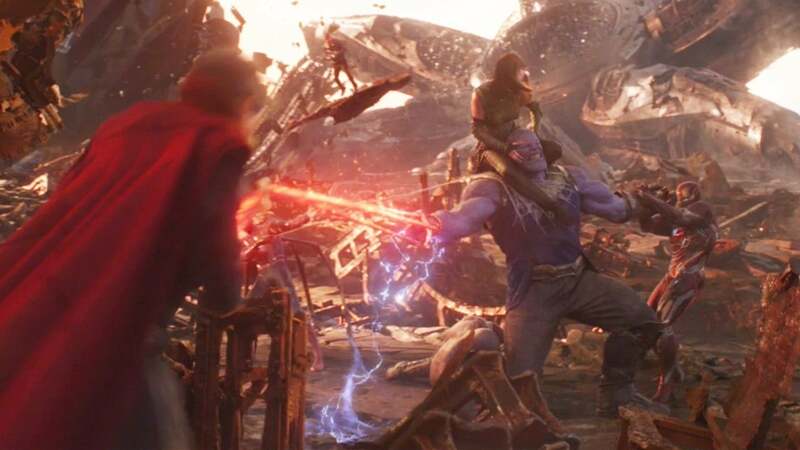 As far as we know, Star-Lord’s mistake may have been necessary in the long term plan to defeat Thanos, in whatever form that takes. But the fact remains that this movie ends with a catastrophic failure by The Avengers to save the world. Furthermore, even if the destruction is reversed, it doesn’t erase the fact that the destruction happened in the first place. Even if it is possible to go back in time and prevent it, we still spent hours of our time witnessing the film and its events. This is by far the biggest superhero failure we’ve yet seen in mainstream cinema. The sequel to the first X-Men prequel film initially takes place in a dark future. In this future, the world has been overrun by advanced Sentinels which had been built to hunt down Mutants and any Mutant-friendly Humans. The Sentinels were created with Mystique’s DNA, which allows them to withstand Mutant superpowers. The film opens with the last stand of a small group of Mutants, including Charles Xavier. Because of the powers of the Sentinels, they cannot defeat them and have to try and hold out as long as possible. Their last-ditch effort is to send someone back in time to prevent this horrible future from taking place. Just like Avengers: Infinity War, our heroes exist in a setting where they failed to save the world. Sure, most of the human race is presumably still alive and thriving in this dark future, but nonetheless the presence of the Sentinels makes this future a nightmare for our heroes. They may have a plan to prevent this from happening, and they do actually successfully put this plan into motion, but the fact remains there had to be motivation for this action in the first place. Professor Xavier and the surviving mutants failed in this timeline to save the day. When a British spy named Steve Trevor washes ashore on the hidden island of Themyscira, he warns the Amazonians of a massive war that will soon find its way to their secluded paradise. Diana Prince/Wonder Woman sees the war as the efforts of Ares to destroy humanity. Armed with a weapon granted to the Amazonians by Zeus, she heads to Europe to find Ares and kill him, which she believed would end the war and save humanity as well as the Amazonians. However, although Diana does actually defeat Ares, the war and the destruction caused by humanity is their own doing. 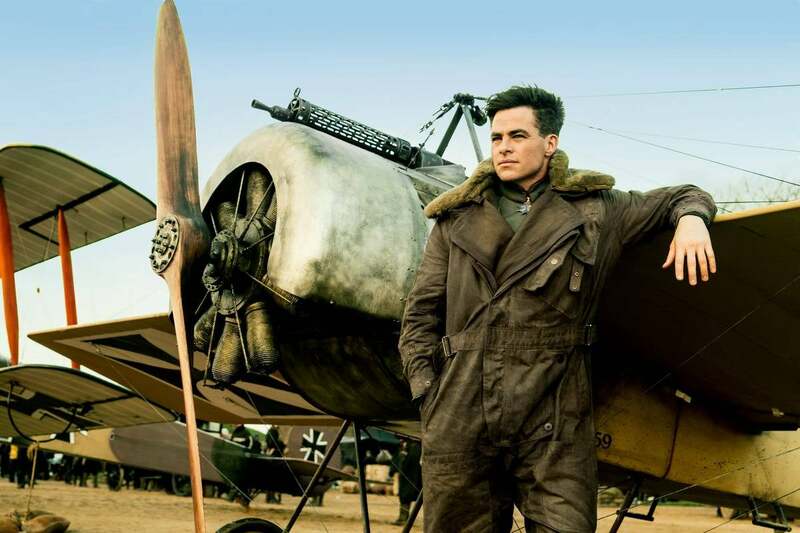 Diana takes care of Ares, but it is Steve Travors who actually sacrificed himself to destroy a shipment of gas which would have eradicated London. Ares points out to Diana that he only gave humanity ideas, and mankind was wicked enough to carry them out. Furthermore, as we know how humanity continued to fight in countless wars after The Great War, Ares wasn’t responsible for our violent ways. Trevors was the one who essentially ended the war and saved countless lives with his heroic action. Yes, he was aided by Wonder Woman, but he actually pulled off the final save-the-world deed. In this animated film, the most famous version of Spider-Man, Peter Parker, dies at the hands of the nefarious supervillain known as The Kingpin. He fails to prevent Kingpin from creating a giant particle accelerator to reach into other dimensions, but it could also destroy the city. Peter Parker’s death is ultimately necessary for him to essentially hand over the reigns of Spider-Man to Miles Morales, but it doesn’t change the fact that this version of Peter Parker failed to protect New York City. The Watchmen are a group of masked vigilantes who, at one point in time, worked for the US Government. Through their efforts, they helped to obtain peace in Vietnam, maintain US superiority during the Cold War, and secured numerous political victories. However, to achieve these goals, The Watchmen had to partake in many nefarious actions. The traditional clarity we usually are afforded in these type of films between good and evil becomes blurred. In one hand, the Watchmen secured a greater peace, but in the other hand they had to embrace corruption, murder, and sabotage in order to get it. They are all convicted with guilt, and have to convince themselves it was for the greater good. The most powerful vigilante in Watchmen is Dr. Manhattan, who has the ability to almost do anything. The threat of his retaliation is what prevents the USSR from engaging the US in the Cold War, and his mere presence on Earth is what secures peace. When Ozymandias frames Dr. Manhattan by detonating an energy reactor with Dr. Manhattan’s radioactive signature in both New York City and Moscow, he kills millions of people. His plan is to win peace by convincing both superpowers to be united in their fear of Dr. Manhattan. However, I would argue this plan replaces one false peace with another, at the cost of significant amount of innocent human casualties. Humanity is no closer to achieving an actual understanding of equality, and instead their hatred for difference is just refocused onto a common place. At the end of the film, it is only Rorsatch who can’t live with the cold reality of the situation. Dr. Manhattan is forced to kill him to prevent the truth from being leaked. Not only did the Watchmen fail to prevent Ozymandias’ destruction, but one could argue they left the world in a worse place than if they had never done anything at all. Ozymandias was forced to act because of how the world had turned out because of the results of the actions of the masked vigilantes in the first place. Furthermore, by exiling Dr. Manhattan, they lost the most powerful potential ally humanity could have ever known. Lex Luthor’s plan in the original Superman film is to intercept two US Nuclear missiles and use one of them to detonate at the San Andreas fault which would cause most of California to fall into the ocean. Luthor sends another missile towards New Jersey in the hope that Superman would be forced to stop that missile first, preventing him from having enough time to stop the missile headed for California. Sure enough, that is exactly what happens. Superman tries his hardest, but Luthor’s plan works and a massive earthquake is unleashed upon coastal California. Of course, Superman does return to California to clean up the mess and somehow fuses the fault back together to prevent California from leaving continental North America. His efforts have foiled the plans of Lex Luthor, but I wouldn’t necessarily call it “saving the day”. If I was to give him a grade for his efforts, it would be “incomplete”. There’s still the fact that significant damage has been done because of the earthquake, not to mention the implications of a nuclear weapon being detonated. Superman is one of the most capable Superheroes we’ve ever witnessed in cinema, but he can’t be in two places at the same time. 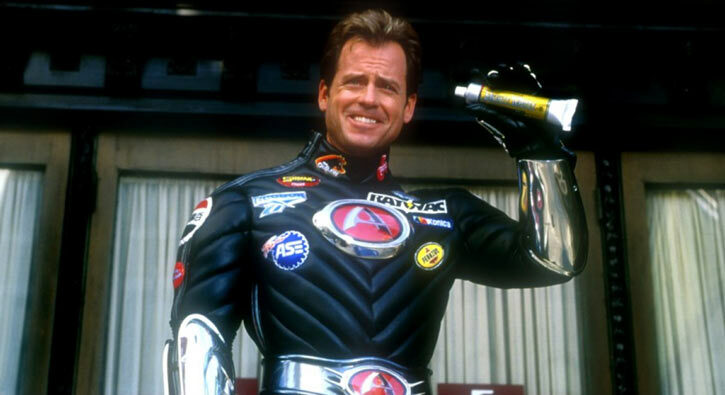 In Mystery Men, Captain Amazing is the famous corporate-sponsored super hero every lesser super hero wants to be. However, he is so good at his job that he doesn’t have any formidable enemies left to fight. He comes up with a plan of releasing from prison an old supervillain enemy of his, Casanova Frankenstein. Unfortunately, Captain Amazing’s plan fails as Frankenstein is able to trick Captain Amazing and then capture him. This leaves the city undefended against Frankenstein’s plan to unleash a powerful energy weapon which distorts reality. The protection of the city falls to a rag-tag group of pseudo-super heroes who must work together to defeat Frankenstein (especially when they accidentally kill the captured Captain Amazing). For such a fun, comedic entry into the MCU, Thor: Ragnarok has a very depressing ending. At the beginning of the film, Thor defeats the fire demon Surtur, and believes he has prevented Ragnarok from destroying Asgard. However, when Thor’s sister Hela returns to Asgard to take control. Unable to defeat Hela or her warriors, Thor makes the decision to evacuate Asgard and release Surtur. Only Ragnarok would prevent the evil Hela from taking control. And so, at the end of the film, not only does Thor fail to prevent Asgard’s destruction, his people are left without a home. They drift through space where an even worse fate awaits them. Norman Osborn dies of a uncurable genetic disorder, and warns his son Harry that he also has the disease. Harry later finds out that Spider-Man’s blood could help him combat the effects of this disease. By the end of the film, Harry has been consumed by his disease and this causes him to have considerable anger directed towards Spider-Man. When Harry finds out that Peter Parker is Spider-Man, he kidnaps Gwen Stacy, his girlfriend. Peter as Spider-Man fights Harry as the Son of Green Goblin, but Gwen falls from a tower and Peter is not able to catch her. This animated film plays off the tropes of superhero films, pitting the mighty Metro Man against the evil supervillain Megamind. These two super people have long fought for control over Metro city, and in an early action scene, Metro Man is seemingly obliterated by Megamind. This leaves Metro City without its beloved superhero and Megamind has free reign to do everything he ever wanted. However, he soon becomes bored without an adversary and has to make a new superhero to fight. Later it is revealed that Metro Man did not die, and instead faked his death so he could retire in peace. Still, he essentially failed to do his job and did not save Metro City from the evil Megamind (even if it is later determined that Megamind isn’t really that evil). Both of these films are interesting takes on the superhero film because our superheroes are fighting themselves. But I didn’t include these films on this list simply because their superheroes are acting in a somewhat undignified manner. The reason these films are included on this list is because the villains in both of these movies were the motivations behind the superhero conflicts. In Civil War, Zemo is trying to avenge his family’s death from the events featured in Avengers: Age of Ultron by dividing the Avengers. When you look at the big picture, he succeeds. The Avengers are unable to overcome Zemo’s manipulation, and they end up fighting each other rather than working together. In Batman vs. Superman, the plot is similar. The collateral damage from Superman’s fight with General Zod has inspired a distrust against Superman. Lex Luthor utilizes this distrust and manipulates both Batman and Superman to fight each other. Batman, Superman, and Wonder Woman eventually have to work together to save the day when Luthor unleashes Doomsday. The resulting fight costs Superman his life, and so even though Batman didn’t directly kill Superman, he still failed to stop Luthor from doing what he set out to do all along – get rid of Superman.